These were created from a design given to me by the client. 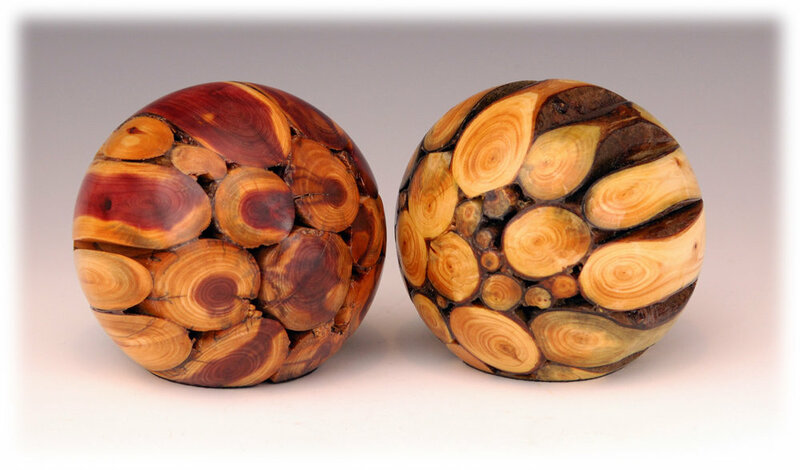 He wanted a pair of paperweights for a couple who were going to be apart from one another for an extended period. They could each take one with them and bring them back together when they reunited. 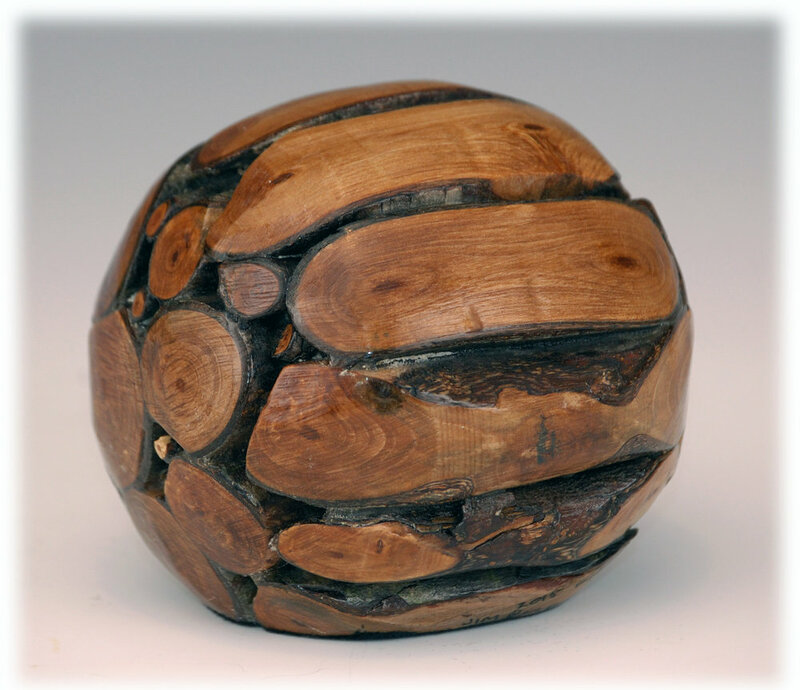 These are roughly 4" diameter spheres made from the branches of trees with significant symbolic characteristics. 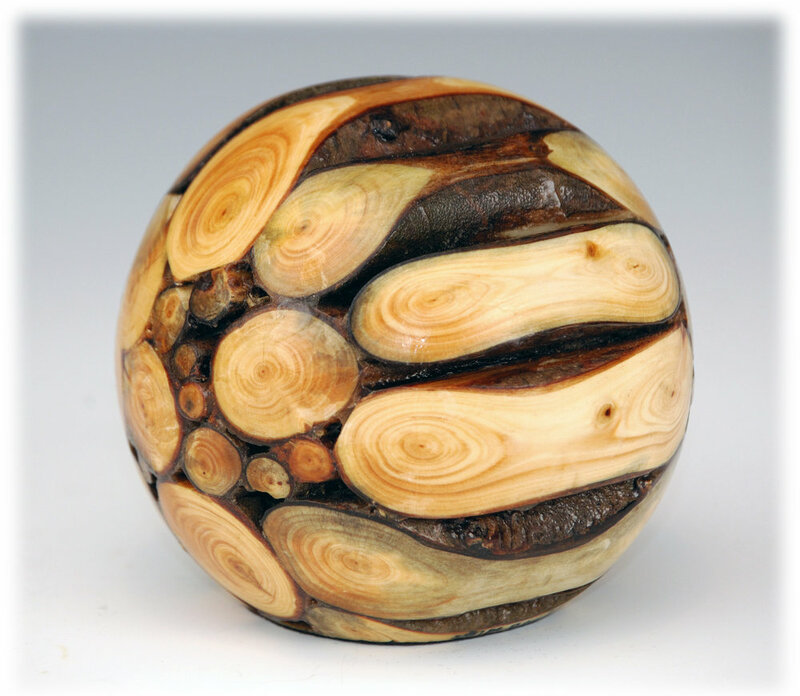 I have made them from Yew, Pear, and Cedar, symbolizing Wisdom (Yew), Incorruptibility (Cedar), Justice (Pear) and Longevity (all three). The branches are either trimming or storm-fall and allowed to cure in the woods for at least a full year. 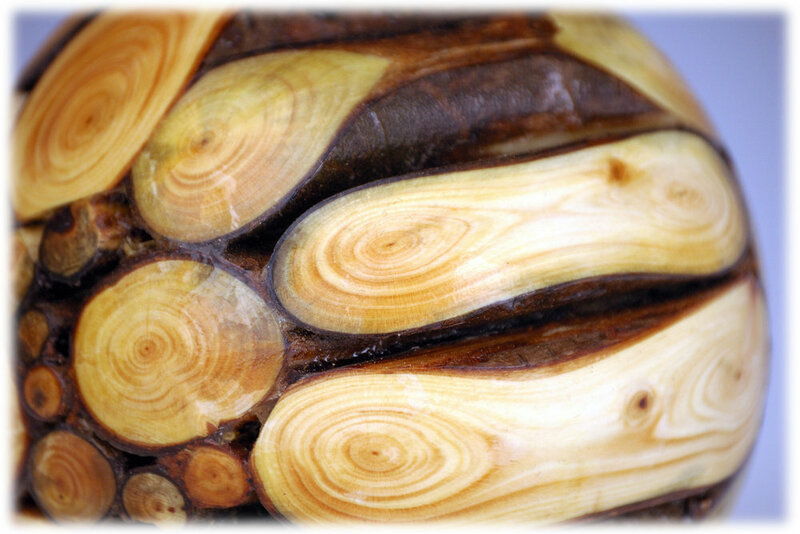 They have felted bottoms and are sealed with a combination of oil finish and carnauba wax. Making them was a very interesting project, presenting several design and accomplishment puzzles to solve along the way.